Delta IABU has been cultivating in the market of small PLC for a period of time with markets now expanding in Taiwan, China, Southeast Asia, Europe and America. Delta currently offers Slim Type PLC main processing unit (MPU) attached with feed-through terminal block and E series PLC with more points to choose from. Apart from MPU, Delta also launched digital point extension units, analog I/O extension modules, position control modules and many other multi-function modules. Industrial Ethernet module: An entire Ethernet solution to software and hardware. In terms of software, Delta cooperated with many SCADA companies, developing Delta's driver. In addition, Delta also developed small tools to assist the user with the development of control programs by programming languages such as VB. In terms of hardware, Delta's Ethernet modules and Ethernet/Modbus converters add flexibility and extendibility into the application. Industrial Fieldbus module: Delta's DeviceNet and CANopen modules and converters offer the user more efficient and flexible structure of a network system. Apart from these modules, Delta launched a new professional motion control MPU – DVP-20PM. 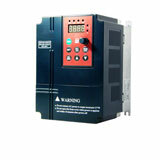 Compatible to G-Code as are NC controllers, DVP-20PM is able to perform advanced motion control, e.g. flying shear, with electronic cam. 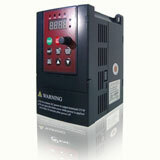 It is an economical yet multi-function and cost-effective motion controller.